Sir Arthur Conan Doyle's Sherlock Holmes character has seen countless adaptations over the last 127 years since his inception, the best - subjectively - being 'The Great Mouse Detective' from 1986. As with most long runners that have enjoyed considerable popularity in print, television, cinema (etcetera) incarnations, video game versions were unavoidable. 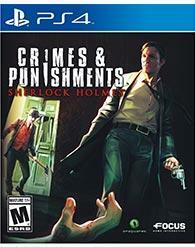 'Crimes and Punishments: Sherlock Holmes' is the tenth entry in the 'Adventures of Sherlock Holmes' series by Ukrainian/Irish developer Frogwares. What crimes lurk behind this promising title? 'Crimes and Punishments: Sherlock Holmes' is structured like an old-fashioned point-and-click adventure game and comes with all the perks (or, to some, all the boring aspects) of the genre. The main character cannot die and no levels are ever truly lost. 'L.A. Noire' -esque flashbacks are present along with the careful interrogation of suspects, and the possible locking-up of innocent bystanders. 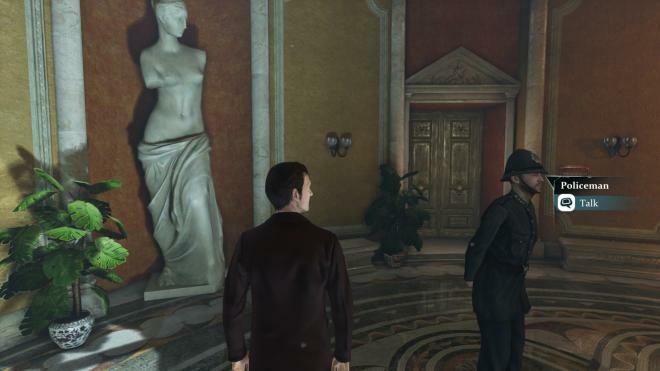 Beyond these conventions, 'Sherlock Holmes' also offers a few unique spins on the gameplay. Take for example, the bullet time-esque close-up of a suspect, in which you take a gander at clothes, fine fabric, hair, hats etc. All these clues will help Holmes in constructing a finite read-out of who he has in front of him. The third-person perspective can at all times be changed to a first-person perspective. After finding two or more clues, the results can be combined in a very nicely developed 'Deduction Space' sequence that takes place inside Sherlock's mind. Combining the correct clues yields success. The framework, and the way it is presented, is reminiscent of Josh Nash Jr.'s method to deal with the voices in his head, as seen in 'A Beautiful Mind'. Be aware, however, that no clue or guess is 100% correct. Frogwares has deliberately blurred the lines between what sounds right and what is right, without any formal indications. As such, arrests and accusations are always ambiguous. The wrong guy may end up in jail. Each of the six cases has 3 to 5 possible solutions, and you can always go back on an accusation and select another option. In true 'Heavy Rain' and 'Beyond: Two Souls' fashion - decisions can alter the outcome and ending, influenced by your moral objections and doubts. When traveling via horse and carriage, the notebook can be opened to go over clues, hints or possible suspects, and the little time it takes is always well spent by focusing on the next step. Moving across the map works like a charm. There's no need to be in front of the carriage, or in the vicinity of a road. Pulling up the handbook and selecting the map will do to instantly and it's a nice touch that eliminates needless 'Banjo-Tooie' backtracking. Exploration is extremely limited, however. One can't stray off any given area, which is a little disappointing for a game about a private eye. More immersive surroundings would have supplied the game with a welcome snooping quality. 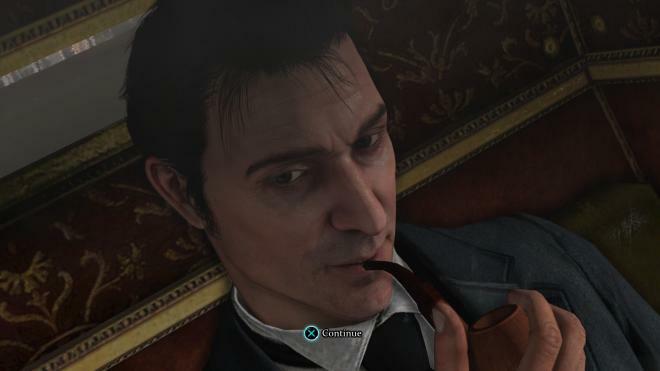 Throughout the game, the good detective is pointlessly aided by Dr. Watson, whose only job is to question everything Holmes does, and then sheepishly admit his intellectual defeat whenever he's outsmarted. There are a few instances where Watson is a playable character: in the very first scene of the game, the doctor has to dodge attacks by a blindfolded Sherlock. Furthermore, the final scene of the second case turns to a brief first person shooter event for Watson. Finally, during medical investigations (such as an autopsy), Watson acts as the narrator. Ever the yang to Holmes' yin. There are funny touches aplenty: when Holmes' dog is poked, the apt description "Brave Toby. The best nose in the British Empire" is heard. When Sherlock takes a peek through his telescope, he gets a fixed shot at his scantily-clad, unattractive neighbour. To quote James Duncan Rolfe: "What were they thinking?" Finding hidden items like this is fun and contrasts slighty with the convetional hunt for collectibles. Remember the lumps of cheese in 'Perfect Dark', that were scattered all around the levels for no apparent reason? Gaming legend Will Wright (of 'The Sims' and 'Spore' fame) is listed as one of the crew members of a sea vessel. Captain Ahab gets a name-check, too And of course, the game's title is inspired by Fyodor Dostoyevsky's classic book 'Crime and Punishment'. To make sure no one misses that nod, Sherlock Holmes is actually reading said book during every traveling clip. 'Crimes and Punishments' boasts beautiful graphics that are never the pick of the litter. Somehow, there's always something off. During extreme close-ups, the eyes with their dead stare are evocative of the dreaded uncanny valley. Details are stunning: each dot of the male characters' stubble can be individually counted. The convincing, well-rendered cut scenes impress. Minor graphical errors, such as Holmes taking a puff of his lit pipe, and exhaling - although the pipe never quite touched his mouth. A few instances of clipping through occur on different occasions, but nothing too alarming. The game never slows down and runs like a charm on the PlayStation 4. Lip-syncing is always slightly running behind. It's very noticeable, and a little sad. As if these characters are dubbed on the spot. I'm pretty sure French, German, Spanish (etc.) players, who are accustomed to lips not matching up due to their country's tendency to post-synchronize movies, won't mind as much. A minor blessing in disguise, then. With the regular NPCs, there is a troubling lack of variety. Every bobby or police constable will respond with a stern, monotone 'Mr. Holmes'. Ad infinitum, if so desired. Really? That's all they have to say? There couldn't have been different phrases? A few moments of recording time and a simple dialogue tree goes a long way in terms of presentation quality, and that's lacking here. Ambient sound design fares better. In Scotland Yard, there is constant and realistic murmuring audible in the background. Sound effects are effective and realistic, but music is used sparingly. On the audio front, 'Crimes and Punishments' won't give the amp a rock-out, but the eerie aural atmosphere lends itself quite well to the game. With multiple solutions to every case, the idea is to play the game a few times. Only the truly dedicated will be willing to check out each ending, but it's nice to think that revisiting the game for a future playthrough may yield some different results. There's also a multitude of trophies, including some very obscure ones to unlock.